AIARE Avalanche Rescue is a one-day stand-alone course that is intended to be retaken on a regular basis in order to keep abreast of best practices in rescue techniques and gear. 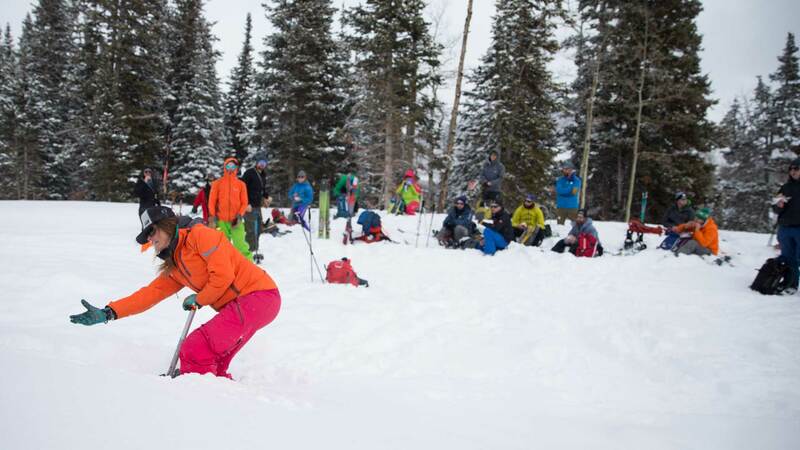 The Avalanche Rescue Course is a one-day course aimed both at new and experienced recreationists, and aspiring snow professionals. New participants will learn the basics of companion rescue, while return participants will expand their skill set with advanced topics and realistic scenario practice to help improve their skills after the course. Special thanks to Ortovox for their sponsorship and support of our Avalanche Education Program.